NMOKMPL NMO B Mount 17' RG58AU with Mini-UHF Crimp - Talley Inc.
All Larsen NMOHF (high frequency 27 MHz to 6 GHz) mounts convert from low frequency applications to high frequency applications and back by pulling or replacing the center pin and insulator. 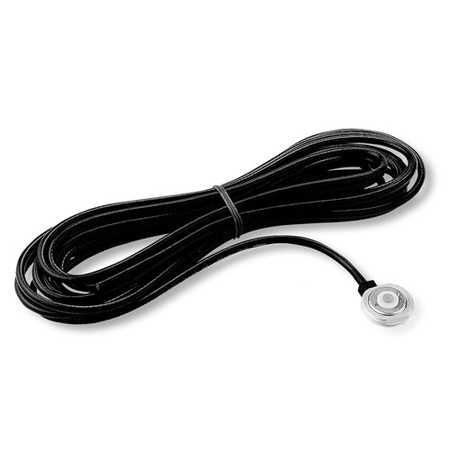 NMOHF mounts require a 3/4 hole for mounting and include 17 of coax. NMOHF mounts accommodate roof surfaces from 0.1 to .03. NMOHFTHK (thick) mounts accommodates roof surfaces up to 1/2 thick. Note NMO 3/4 standard mounts require a 3/4 hole for mounting and include 17 of coax.